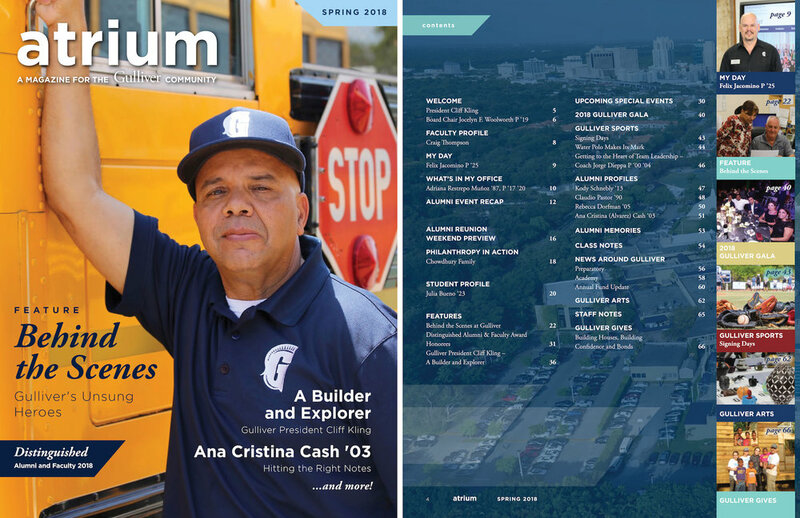 We helped Independent K-12 institution Gulliver School plan, write, edit and produce the 68-page Spring 2018 issue of its magazine for alumni, parents, students, faculty, staff and donors. RB Editing & Writing served as managing editor and copyeditor of the magazine, with several of our writers contributing as well. We also oversaw the graphic design firm, which worked with an exciting magazine design. See the full Spring 2018 Atrium magazine on Issuu.